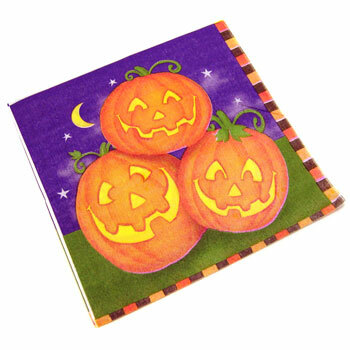 Halloween themed beverage napkins. 6 1/2 by 6 1/2 inches. 16 napkins per pack. Sold by the pack.